This delicious dip brings the heat. Pair this Jalapeno Popper Dip with tortilla chips or melba toast snacks. Jalapeno poppers are one of my favorite appetizers. I am addicted. So, I knew that I had to try to figure out a way to create this in dip form so that I could enjoy it with tortilla chips rather than having to fry anything. 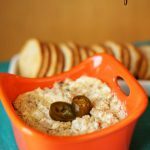 This baked jalapeno popper dip is delicious, and my favorite dip so far. My husband has already asked me to make it again. Warning: This dip brings the heat, so it’s probably not safe for young kiddos or people who easily get heartburn. This dip is excellent when paired with tortilla chips, or as seen in this photo, melba toast snacks. Enjoy! This delicious dip brings the heat. 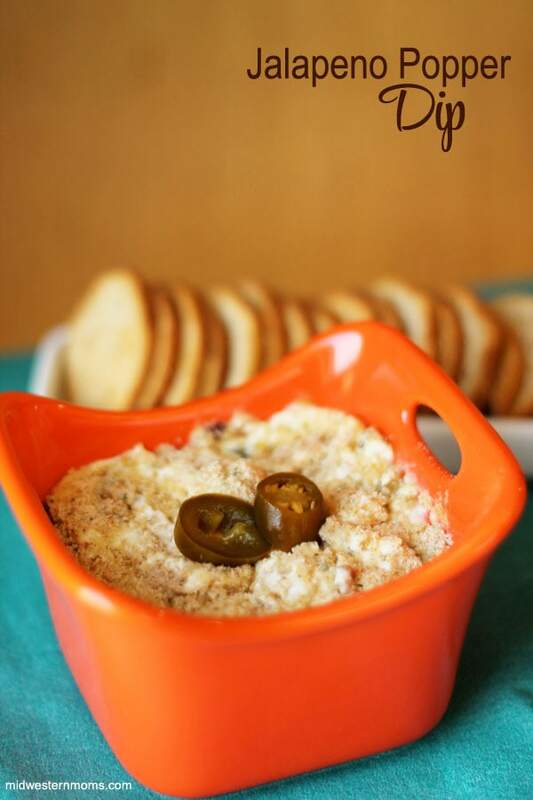 Pair this Jalapeno Popper Dip with tortilla chips, or as seen in this photo, melba toast snacks. Soften cream cheese. I usually do this by setting it out a bit ahead of time, or you can remove it from the package, place it in a bowl, and microwave it to soften it enough so that you can mix it with other ingredients. In a large bowl, combine all ingredients above and mix thoroughly with a fork. Pour into an 8×8 sized baking dish and top with Panko.